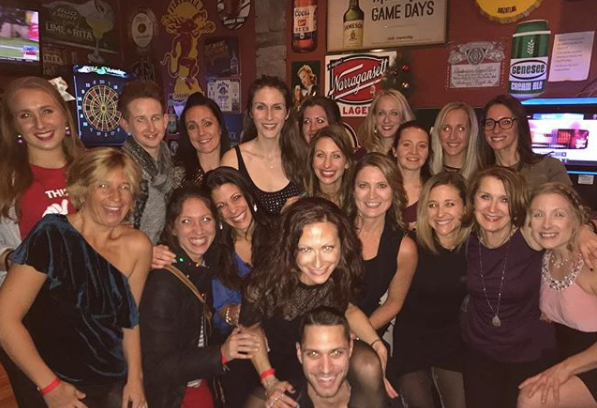 The Hot Yoga Spot hosted our 6th annual Holiday Party at Ships Pub this past Saturday and it was our biggest one yet. We were joined by over 100 yogis from all 5 of our locations as well as friends and their family members. This special night was full of laughter and a lot of fun. We had such a great time celebrating the holidays with our community and enjoying drinks, food and plenty of dancing. We are so grateful for the chance to share yoga and barre classes at our 5 locations across the Capital Region and always look forward to showing our appreciation during this special time of year. Click here to see the pictures and relive the fun!